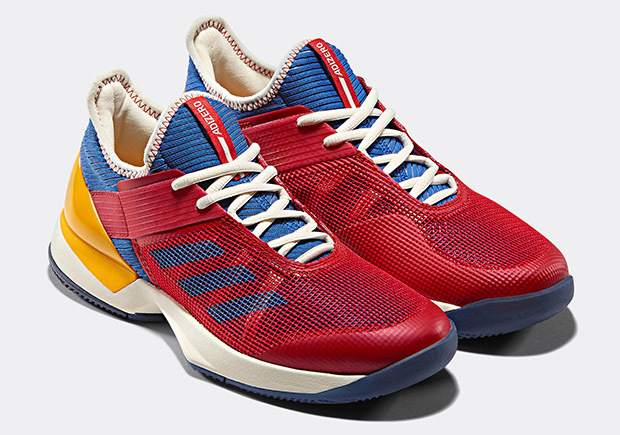 Pharrell's partnership with adidas Originals continues to churn out product that is both eye-catching and fully functional. Shortly after unveiling the "Icons" pack with Stan Smith, Pharrell takes on tennis footwear and specialty sportswear with, obviously, odes to color on revised versions of 3 adidas tennis models: the Barricade Boost 2017, adizero Ubersonic 2.0, and adizero Ubersonic 3.0. 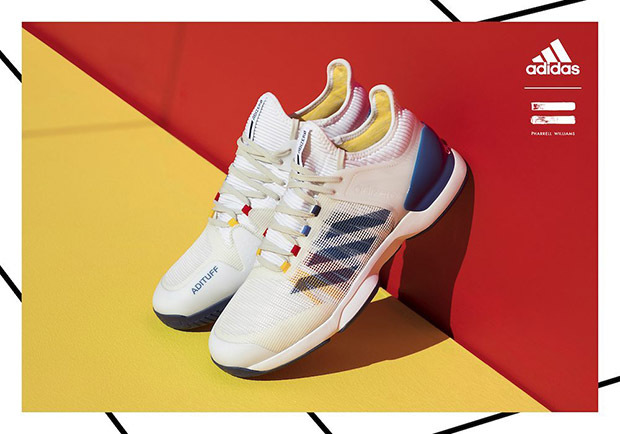 Inspired by the sport’s ’70s-era superstars - Pharrell developed a simple idea for this collection: remix their most iconic looks into a new tennis offering informed by the latest breakthroughs in adidas technology, such as adidas Climacool. In the coming weeks, you'll actually get to see Pharrell's creation in motion on the big stage. The items you see here have all been dubbed US Open 2017 outfits and will debut at Flushing Meadows. Angelique Kerber and Dominic Thiem will lead the inline campaign, showcasing the collection on court. Other players to wear the collection at the US Open include, Simona Halep, Jelena Ostapenko, Jo- Wilfried Tsonga and Tomáš Berdych. 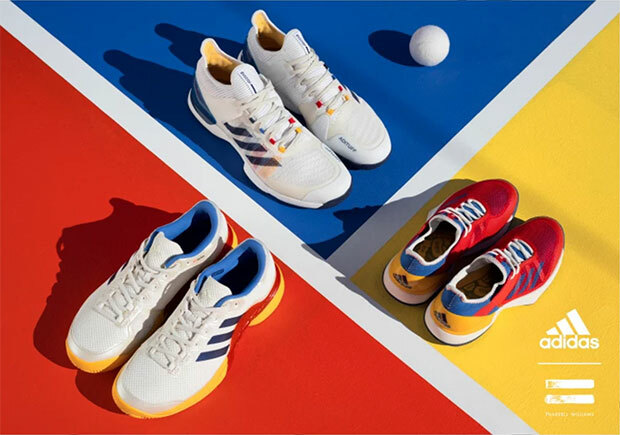 All three silhouettes feature the same white, red, blue, and yellow color combinations for stylish approaches to the utilitarian on-court footwear. 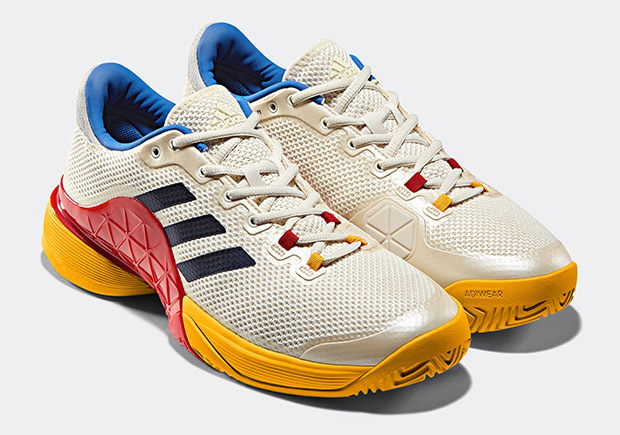 If you're looking to pick up the pieces from Pharrell’s tennis collection, they'll hit retail on August 31st at adidas.com and via select Three Stripe retailers. P.S. this lookbook deserves a solid slow clap.